April 26, 2019 | 10:00 a.m.
Arbor Day was started by J. Sterling Morton in Nebraska as a way to get more trees planted in the Midwest prairie states. At Edison Ford, trees are planted throughout the year; although, on Arbor Day, we celebrate with students from local schools, garden clubs and other community organizations. Fort Myers is part of a nationwide movement, providing the necessary framework for communities to manage and expand their public trees. 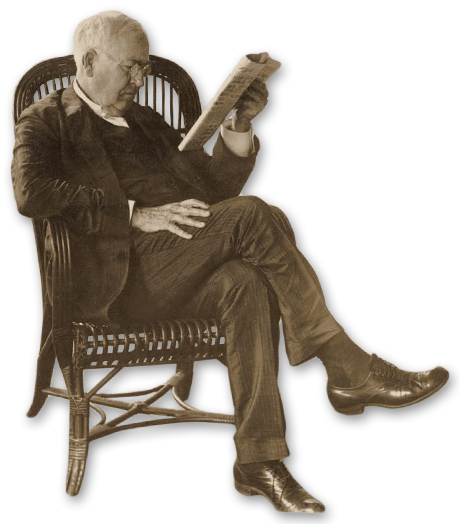 Many of the trees on the Edison Ford site were originally planted because Thomas Edison understood the importance of planting trees in our neighborhoods. He planted many unusual varieties that still stand tall today. 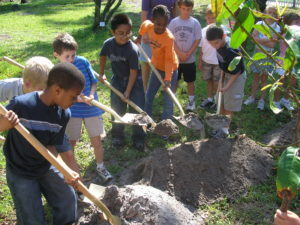 In celebration of National Arbor Day on April 26, students from Edison Park Creative and Expressive Arts School will help continue the tradition of planting a tree. This year, two Poitea carinalis, or Caribwood trees will be planted at the entrance gate to the Ford home – for future generations to enjoy.